Under Western Australian Law; you, a friend or a family member may be asked at any time to complete an Occupational Therapy Driving Assessment to demonstrate that the person does not hold any medical conditions that limit them from driving a motor vehicle safely and legally. Even if you are an experienced driver, you may be asked to complete this assessment because of concerns that your driving skills may be affected by a medical condition, illness, age or disability. An Occupational Therapy Driving Assessment is intended to ensure that you can drive safely and legally. 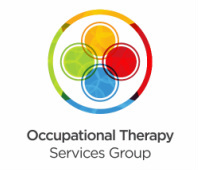 You, the Department of Transport, your family, your doctor, your therapist or anyone else involved in your care may arrange for an Occupational Therapy Driving Assessment. The goal of an Occupational Therapy Driving Assessment is to assist you to begin or continue driving with any medical conditions, disabilities and age related conditions. You are concerned about a family members' ability to drive safely. Under Western Australian Law, 'Mandatory Reporting' requires that any individual who has sustained a medical illness, injury or disability that may impact on their ability to drive is required to notify the Department of Transport. If a person decides not to report a medical condition and is involved in a traffic incident, they may not be insured and may also be prosecuted. Our specially trained Occupational Therapists can help determine the impact of a person's medical condition(s) on driving, and facilitate these individuals to begin or return to driving safely and legally.